BoxIt! reflects Melbourne’s famous ‘9” by 5” Exhibition of Impression’ that was held at Tom Roberts’s Studio in Melbourne, August 1889; many of the works were painted on recycled cigar boxes. 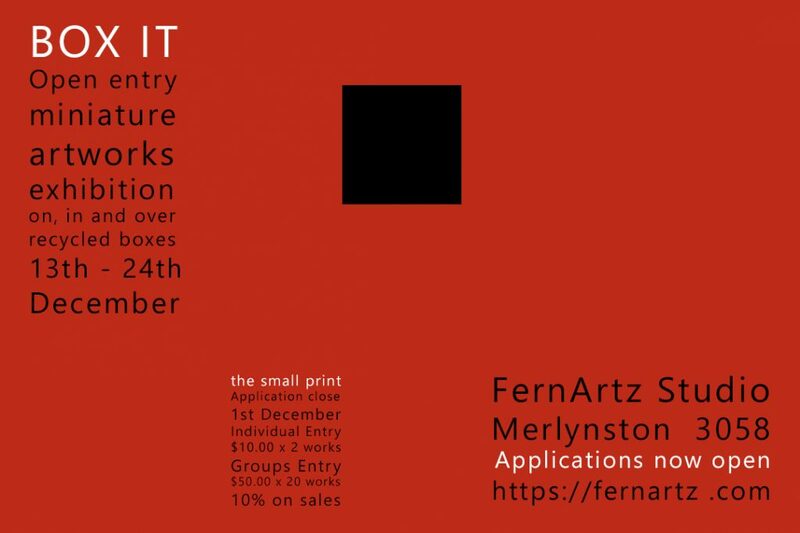 An open entry exhibition of miniature artworks on recycled boxes – 20 cms width x 20 cms height x 20 depth – This is an artist run initiative by Fern Smith held at her art studio between 13th – 24th December 2018.